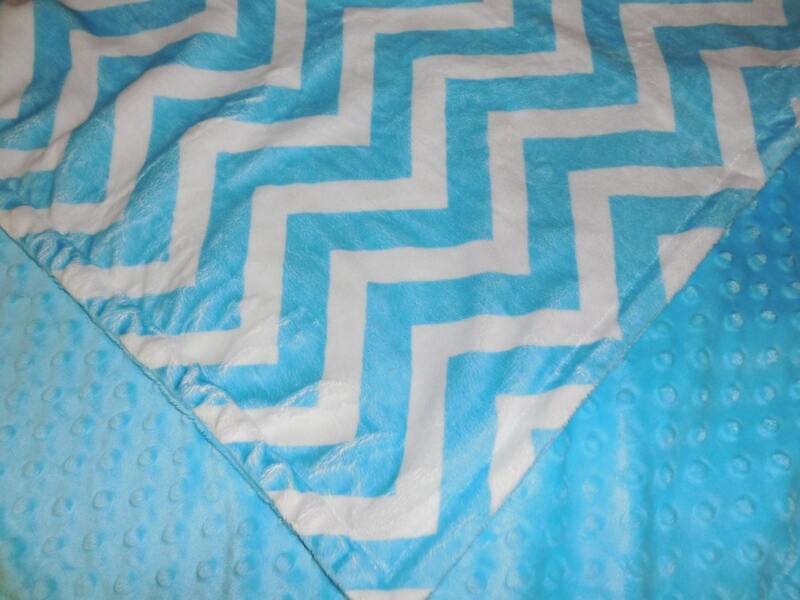 Aqua Chevron Minky Baby Blanket. You choose color backing. You choose size. 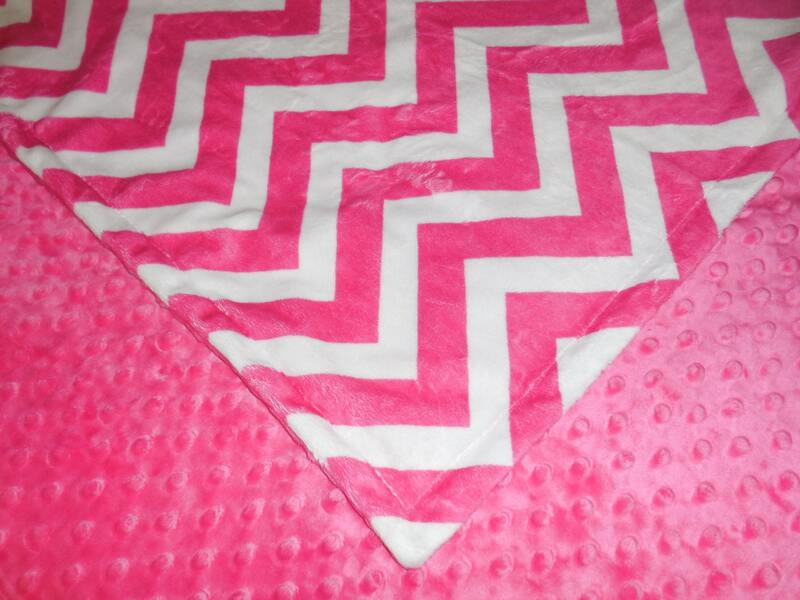 Minky ~ is one of the newest bady bedding fabrics available. It is 100% polyester. Its very soft, very luxurious. 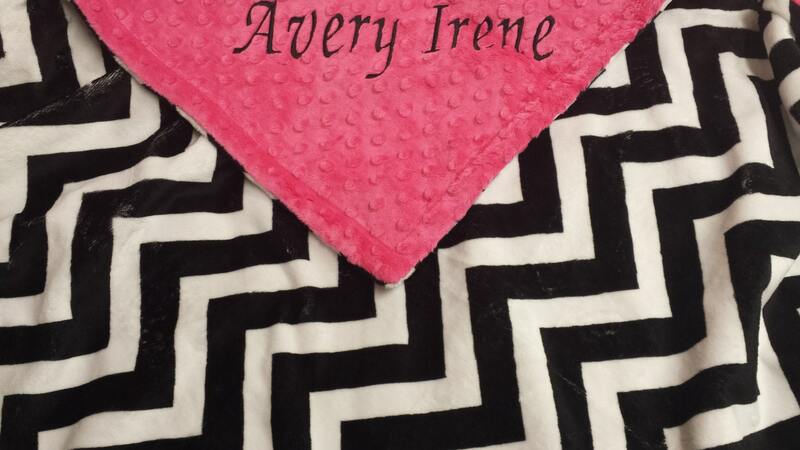 Name embroidery is available for a $8 fee. You can choose from any of your favorite microsoft fonts. I think embroidery on the solid side looks best, but I can embroider on any side you desire. If embroidery is desired, please contact me for a custom listing. 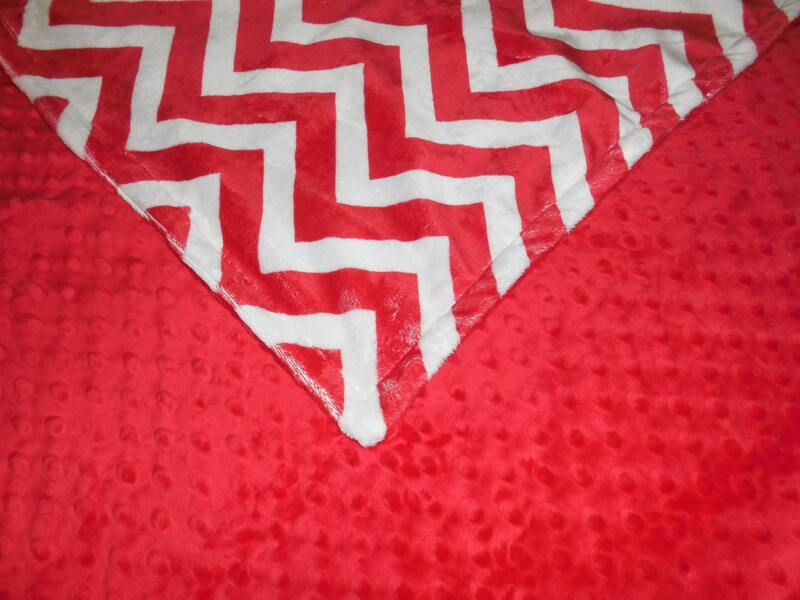 If no embroidery is desired, please click the size needed and check out. Please state the color backing you want in the notes at checkout.